Christmas is getting closer; in just over two weeks it’ll be the moment to open gifts around the tree. But what will there be under the tree this year? How can we find something lovely and just right to place in the reflected sparkle of the Christmas lights dangling just a few inches above? What can I give to my husband? To my wife? To my girlfriend or boyfriend? What can I give to Mom? And to Dad? To my grandparents, my children, my cousins, friends and colleagues (whether I like them or not)? Well, if you come to our Cellars Open at Christmas days tomorrow and the day after tomorrow, we would suggest you stop by the Wine Shop. 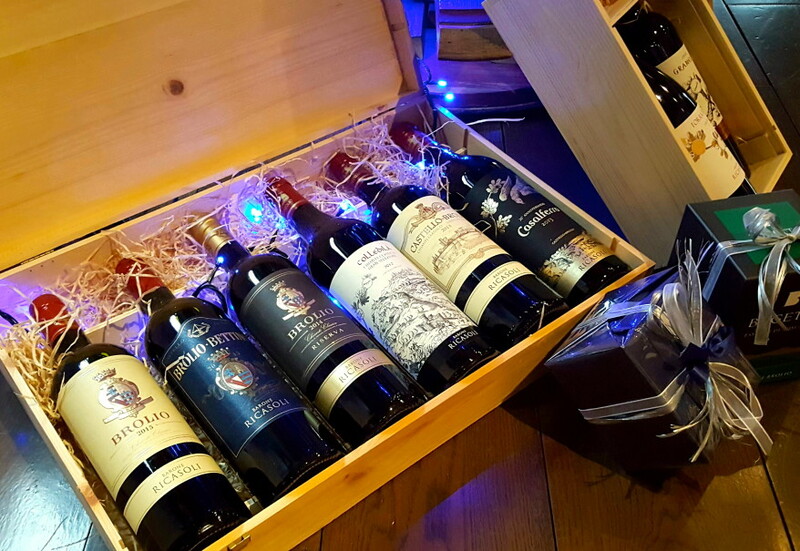 There you can not only buy our wines wrapped up in gift boxes of all kinds, but there are also many, many gift ideas even for those who don’t drink alcohol. 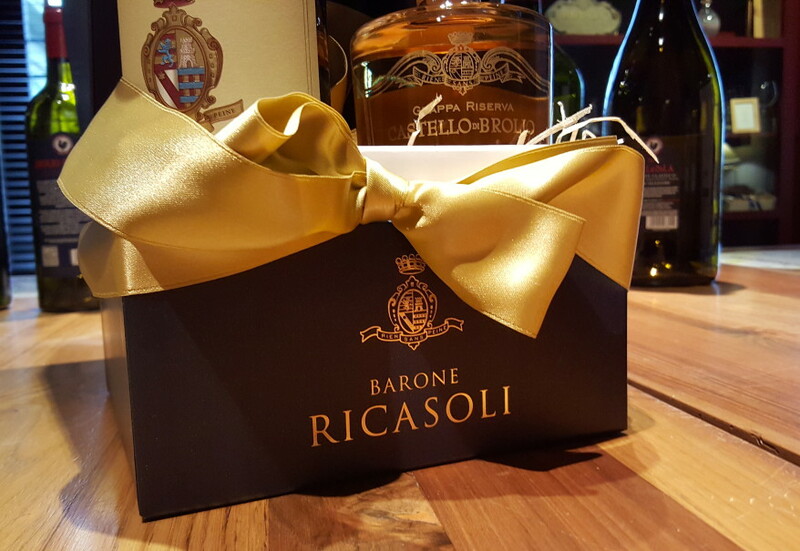 There are different oils in bottles and tin cans, many types of honey, cantucci biscuits both traditional and innovative, books with the history of the zonation of Brolio, the collection of Bettino Ricasoli’s letters, plus handcrafted knives for your steaks and much, much more. If you like to surprise friends with something small but of great value, we can help you choose a coupon for a weekend in our Agresto guest house, an evening with a romantic dinner at the Osteria del Castello restaurant or a wine tasting in the Castle Armory from March on. Or how about a cooking course? Who wouldn’t enjoy learning how to make a true Tuscan ragù meat sauce for pasta? And not just any ragù: here we’re talking about the Barone’s recipe! We look forward to welcoming you to our Wine Shop at Madonna a Brolio – or go to our site for all your online shopping.